There are times wherein people experience sensitivity or headache whenever they lean forward due to additional pressure in their sinuses. There are also people who experience tooth or ear pain, bad breath or fatigue. These things are actually sinusitis symptoms that are too often painful and very disturbing. 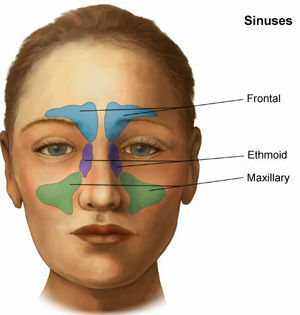 Sinusitis, or sinus infections, occurs when virus, fungus or bacterium grow within the sinus and block the sinus ostium. Most of the cases of sinusitis occur in places where environmental pollens are prolific. Like hay fever, sinusitis cases are the result of a series of exposure to these tiny pollens that are inhaled and stay within the system. Other cases of sinusitis are the result of exposure to irritants like chemicals, and the use and abuse of nasal sprays and other inhaled illegal substances. However, the general cause of sinus infections is the blockage of mucus in the sinus passageways. Sinusitis can be classified in several ways based on its time span and the type of inflammation. The most common sinus infection that people experience is called the acute sinus infection that usually lasts up to 30 days. The more severe type of sinus infection is the sub-acute sinus infection that generally lasts up to over a month but doesn’t exceed three months. And the worse case of sinusitis is the chronic sinus infection that lasts up to more than three months and should be treated as soon as possible. There are several signs and symptoms of sinusitis that are easy to spot during the initial reaction. The common symptoms of sinusitis are headache, pressure or pain, facial tenderness, and fever. Other common symptoms are cough, sore throat, nasal congestion, and discoloured nasal drainage. Since the most common cases of sinusitis are caused by viral infections, antibiotic treatments are not required. The most common treatments are decongestants, fever and pain medications, and mucolytics. The bacterial infection is usually suspected if the individual suffers from facial pain, nasal discharges that resemble pus, and the persistence of the symptoms for more than a week. Sinusitis that is caused by bacterial infections will not respond to OTC nasal medications. No matter how annoying or disturbing the sinus infections are, there are currently no recorded serious complications that arise from sinusitis. However, it is also possible for sinus infections to cause a direct extension of infection straight to the brain using the sinus wall, which may create a life-threatening emergency when left untreated for a long period of time. These other more serious conditions are meningitis and brain abscess. There are currently no known vaccines specifically designed to prevent the onset of infectious sinusitis. However, there are other vaccines which are very helpful in protecting the body against viruses that cause influenza and bacteria that cause pneumococci so that some infectious sinusitis can be prevented. However, if the person experiences yearly sinus infection, then he/she should consider allergy testing as it may be the underlying cause of sinusitis occurrence. Treatment of this cause may prevent the sinus infection recurrence.